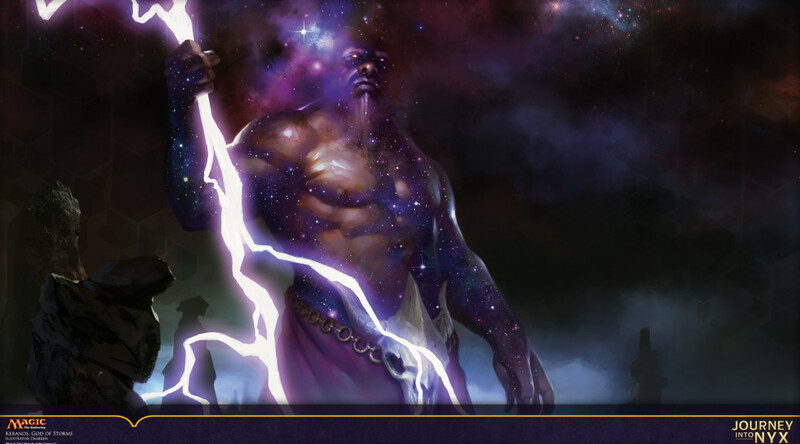 Another point to bring up too about the Gods is that unless there is a return to Theros in a future expansion, they have a low likelihood of being reprinted any time in the foreseeable future. They are unique to the plane wherein thoughtsieze, there is not such a restriction. Yes, this is definitely one of the driving factors making them such a good call. Thanks for adding! Totally agree that printing these in any supplemental product is hard. Although since there are 15 of them, a potential FTV: Gods somewhere down the road would not be out of the question. Hi Corbin, great article. Are you advocating foils on any of these or mostly non-foils? As always, the worry with non-foils is that, even if they are plane specific (e.g. gods, nykthos, dictate, etc) and unlikely to see a reprint in standard, they can always be thrown in a supplementary product. With that said, I’m liking non foil Nykthos in particular because it really only works well in mono color and I don’t think many supplementary products are mono color. Commander 2014 is, but that just happened and probably won’t happen again for a while. Also, I’m hesitant about going in on Prophet of Kruphix because it’s likely high on the edh banned watch list. While everyone is focused on the Gods… Which inevitably will make their price rise quicker than it should have if too many people buy in… I’m trying to focus on other cards that I think might be hard to reprint and have long term casual demand (foils). One target I’ve been considering that is on the higher end of things is Foil Ajani, Mentor of Heroes. The buylist spread is small and I think the foil multiplier for this unique Selesnya colored Ajani is going to be at least 4x the non foil at some point. Non foils are around $8 and foils are around $20-$25. Can’t you just see non foils being $10+ and foils being $40+ in a few years? 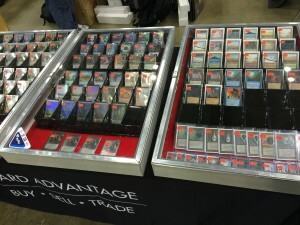 Supply is already pretty low on foil copies everywhere and I think Vendors are hesitant to increase their prices before they get more in stock. That is why we are seeing such a low spread. I think that spread is going to change drastically once vendors secure some buylist copies. I’m expecting that Foil Ajani, Mentor of Heroes is at least $30 by the end of the year. My other Theros Block spec was Foil Nykthos, Shrine to Nyx. I was able to pick up 4 copies between $11-$14. My buying period on that has ended since everyone else caught on. Foil Ajani, Mentor of Heroes isn’t as attractive as Foil Nykthos… But I highly doubt the foil price goes anywhere but up. We probably won’t see a giant spike like with Nykthos, just steady gains. Unless… Some popular writer out there says its a no-brainer pick-up and then it could spike to $30-$40 very quickly. In any case, I like picking up Foil Ajani, Mentor of Heroes between $18-$22 if you can (Buylist is $18!). Avoid the $25 copies for now and leave those to whoever wants to buy them out and cause a spike. Then laugh like I did when I saw Foil Nykthos hit $30. All of a sudden that steady gainer can make you immediate profit if you want to unload your copies. Any opinions on Goblin Piledriver, maybe rotation will bring some new decks into the mix. Last time we went to Zendikar, we saw Warren Instigator and Goblin Guide. The price on the Origins copy is shrinking as we speak. Scry lands? Do they just not cut it?